Khloe Kardashian and Tristan Thompson's relationship has been on the mend since he was caught cheating last year. But the couple aren't planning on walking down the aisle 'anytime soon,' according Us Weekly. 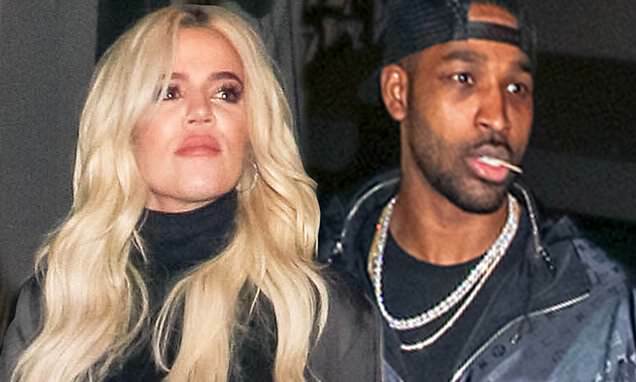 It seems the NBA player has been working hard to 'regain' Khloe's trust since he was caught cheating with multiple women right before the birth of their daughter in April. Though the couple is trying their hardest to put the past behind them, Khloe's sister Kim suggested her sibling was an 'idiot' for staying with the athletic love rat when they stopped by Watch What Happens Live With Andy Cohen with Kourtney on Monday. During their appearance, Kourtney played WWHL's signature question-and-answer game Plead The Fifth, with Andy Cohen asking if she would have stayed with Tristan who cheated on her while pregnant. 'That's a good one,' Kim said.